Good pace, Francesca was a great guide! Loved all the food and wine - would definitely recommend doing this! We had a wonderful time. Our guide,Bea, was very friendly and knowledgeable. 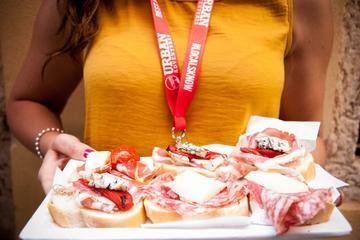 If you like food and wine pairings, this is the tour for you! We had lots of dishes we had never tried before. Wines paired perfectly with the foods. Lots of wine. Loved that there were locals at all the bars. We felt like we were living the Italian life! My guide, Beatrice led me to 6 bacaros, each of where offered a cicchetto and a glas of wine. She is well-known by every barcaro and knows very well what the best at this bacaro. During a tour she explained about Venetian history and current life, like she is a friend of mine since 10 years. A tour is real worth the price. Wonderful guide and wonderful food. It gives you the opportunity to taste many different wines. Seafood salad was special! Cicchetti bars are where the locals eat, drink and unwind. But they can be mysterious and potentially intimidating to new travelers. This tour breaks down the strangeness of them and makes even novices comfortable wandering in and grabbing a bite. We toured on our first day and over the next 4 days took many of our meals in these fun and historic establishments. And saved hundreds of Euros as I could eat my fill for less than 20 euros! 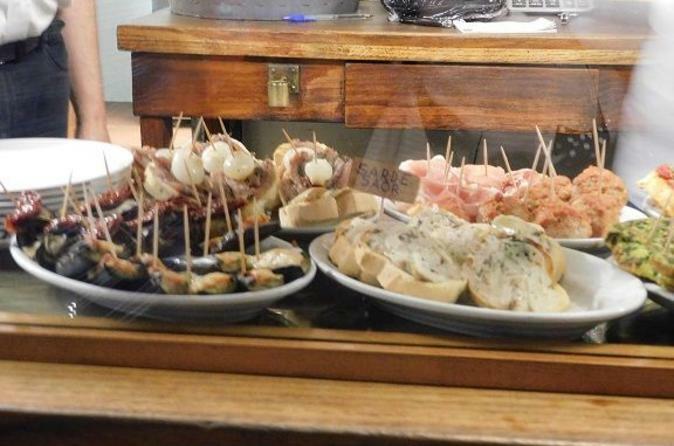 If you like food and want to really know Venice then take this tour. Even if not a foodie, take this tour. The tour guide was great but she was the only positive part of the tour. Wine was terrible and my husband and I left completely starving. It was a 3 hour tour with nowhere to sit for even 2 min. Would not recommend if you are looking for any type of substantial food. I have a feeling most people give this a high review because they got overly drunk on an empty stomach. Eat before or after you go! The price of this tour is very high for how little you get as well. 5 stars all around. High recommend for the price. Would do it again in a heartbeat.